Perhaps it’s the OCD in me but I do so enjoy a themed collection. A place for everything and everything in its place and all that. No silly shade numbers o’ randomness that don’t mean anything to anyone. Oh no! 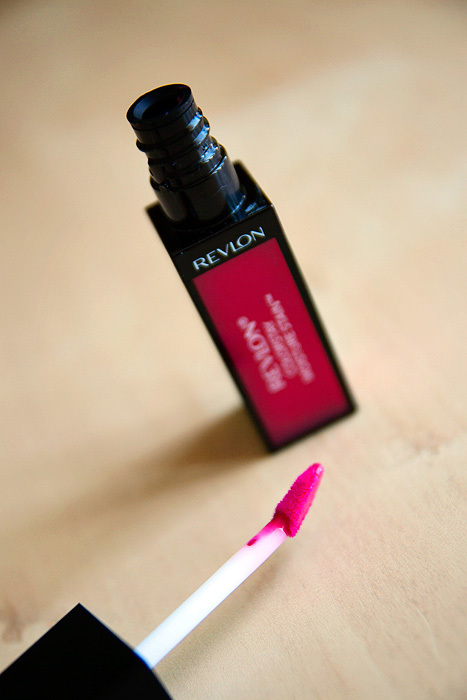 Revlon have got it very right with their geographically-themed latest product release. 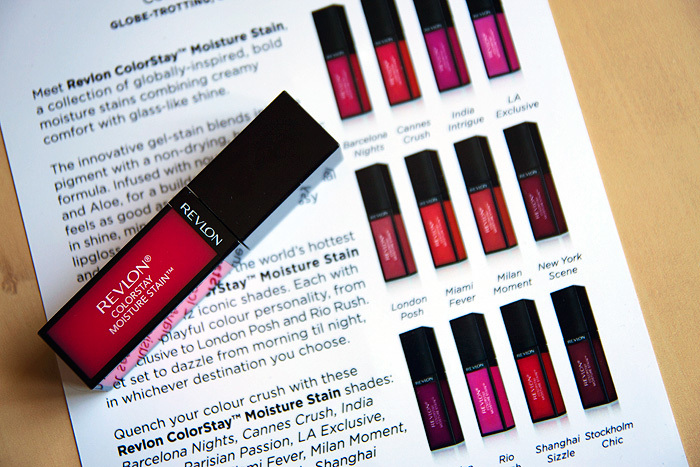 The Revlon ColorStay Moisture Stain launch features a 12-strong collection of lip colours that embrace a gel-stain hybrid texture with a moisturising formula and a high-pigment finish. The formula has been infused with Vitamin E and Aloe, those stalwart ingredients of the hydration team, making for comfortable day-long wear that leaves your lips feeling nourished. Each shade claims its own playful colour personality, with shades named after some of the most iconic cities around the globe: Cannes Crush, Miami Fever, Rio Rush, and Parisian Passion to name but a few. I’ve got my hands on the Hispanic delegate of the collection: Barcelona Nights – probably best described as a berry pink with slight purple undertones. The packaging is great, in all its chunky squared-off glory. There’s nothing pretentious here, it’s simply solid and tactile in a spiky kind of way. 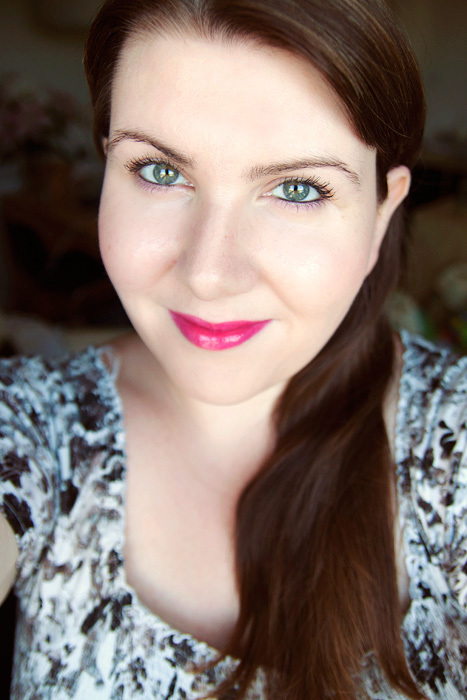 As you draw the applicator wand out of the tube, there’s a certain degree of resistance… the sort of pause that makes you worry the applicator will release from the bottle-neck with a pop, spraying you with lip stain – like a badly-behaved yoghurt pot. Infact, I’m still not convinced that it won’t, so take care when wriggling the wand free from its constraints. Having said that, the tight-fit ensures that your applicator isn’t drowned in lip gloop – infact, it dispenses just about the perfect amount onto the tip of the sponge. 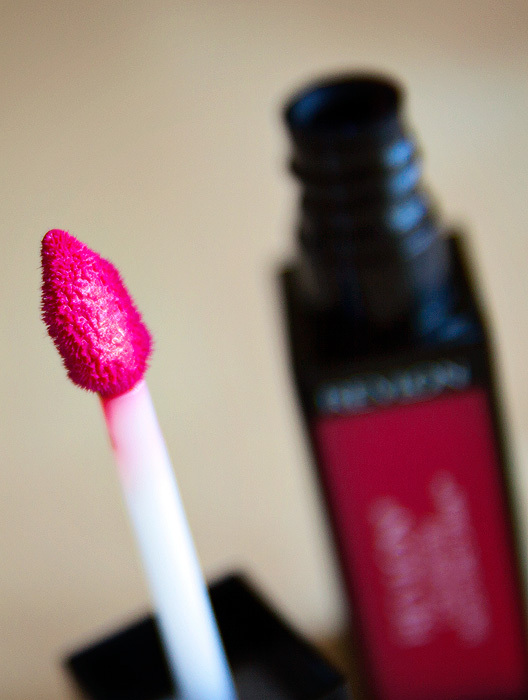 The shade is vibrant and semi-sheer (though buildable), allowing the natural texture of your lip to show through. Application is smooth, definitely more like a lipgloss than a liquid lipstick. It feels a touch “plasticky” when first applied but it’s light enough in texture, thankfully, not to bother me. I suffer from a visible “line” where product often refuses to adhere toward the inner reaches of my bottom lip… and I experienced it with this, at least… until the product had been given a few moments to fuse/melt from the warmth of my lips. You need to allow this for a more even finish. Most importantly, there is no stickiness. None, or should I say nada. Wear was fine, not because it was magnificently lingering but because as the colour faded, the stain remained. 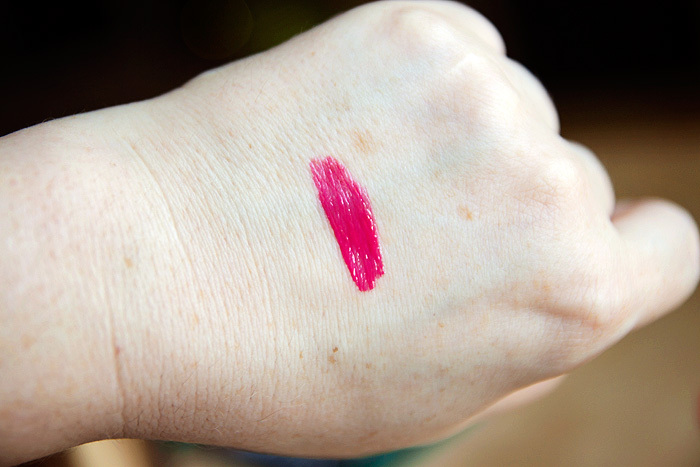 For my personal tastes, it’s a little more glossy than I like to wear so I tend to apply, then blot. Once. This removes the “slippy” feeling – which is one that I can’t stand and the main reason for my lipgloss aversion – without removing the colour. Overall, I’ve found it an easy-to-wear, easy-to-apply product… haven’t we all got room for one of those in our makeup bags? Like you, I love the shades’ names and I also love the product. I just recently picked up Barcelona Nights and think it is absolutely lovely!